1,100+ alumni occupy strategic service positions. Do you have a head for administration and a heart for building stronger communities? Our online and on-campus Master of Public Administration equips you with executive management skills through hands-on opportunities in public administration analysis and a foundation in constitutional government. 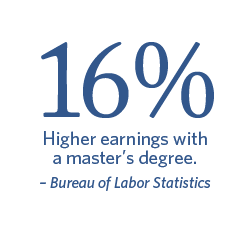 Choose from several concentration options and align your MPA degree with your career goals. Gain tools in budgeting, policymaking, law, communication and management. Full Time: Four semesters (8 8-week sessions; approximately 9 credits per semester) Part Time: Six to seven semesters part time (12-14 8-week sessions; 2 courses per semester). Laws pertaining to employment discrimination, including Title VII of the Civil Rights Act of 1964 and administrative practices before the Equal Employment Opportunity Commission. Special consideration given to religious discrimination. Cross-listed with MLAW 630. Employment topics other than discrimination (e.g., wages/hours, hiring/termination, OSHA, covenants not-to-compete, etc.). Cross-listed with MLAW 628. Develop legal negotiation skills through participation in simulated negotiations. Negotiation exercises are video-taped for review and faculty critique and evaluation. Classroom discussion is devoted to examining and applying theoretical and practical strategies of negotiation. Cross-listed with MLAW 655. A detailed analysis of the fundamental stewardship, servanthood, and moral principles, practices and behaviors that contribute to wisdom in decision making. A multi-disciplinary study of international and multinational social, political, and economic problems from a Comparative and international perspective.